Bromley Dairy & Pumps represent a wide range of milking & pumping equipment, stocking internationally renowned brands alongside many local brands. They take pride in having aligned themselves with brands that offer quality reputations and are proud to offer farmers a choice in brand partners. The team at Bromley Dairy and Pumps specialise in farm water pumping systems and dairy effluent systems along with robotic milking systems. The team see New Zealand’s farming model changing and know that farmers need to adjust and so too does the equipment used to handle these changes within on-farm systems. Being able to offer farmers multiple choices is a good fit they believe in the ever changing landscape of New Zealand farming. They stock a large range of spare parts and consumables for all their brand partners and can supply loan or hire equipment when breakdowns occur. They have 7 trained staff for installation, repairs and servicing and are available for emergencies 24/7 throughout the year. 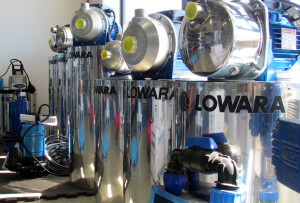 The Bromley Dairy and Pumps team can design and build on-farm milking & pumping solutions from farm pumps, to Bore pumps to full farm reticulation or Irrigation systems and all jobs in between, they offer a complete service from design to installation. A team member will visit a site to establish what’s needed and create a solution that’s tailored to the needs of the individual farm and they have the skills to assist in every step of the design and build process. They enjoy being presented with a problem and challenging themselves to present the best solution possible to meet your individual needs. With an on-farm team of 7 the Bromley team are ready to assist with all repairs and maintenance needed on-farm. No job is too big or small to tackle. They offer the complete service from installation to regular servicing, helping extend the life of your Milking, water or effluent system. Bromleys have a fleet of eight service vehicles so responding in an efficient manner is no problem when you need it. They will test and service any brand of milking system and have the flexibility to offer the hireage of equipment to keep your systems running in an emergency. The retail shop is located at 6 Weld Street, Feilding, in the heart of the Manawatu and conveniently located in the town’s agribusiness hub. The retail shop is stocked with a wide range of things from water pumps to pipe fittings. The shop is open six days a week;- 8am – 5pm Monday to Fridays and 8am – 12noon on Saturdays.